MORA translates into “Mine”, and is an organic extension of its Founder Designer Ritika Mittal’s quest to revive the withering handloom tradition of Indian textiles, among the world’s finest. 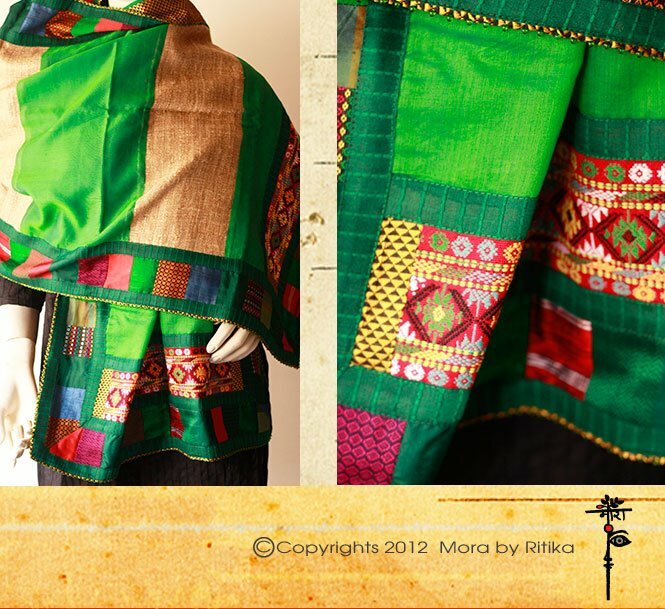 Driven solely by Ritika’s own passion for the preservation of the intrinsic beauty in all things natural, MORA designs are an eclectic collage of influences from various regions of India. 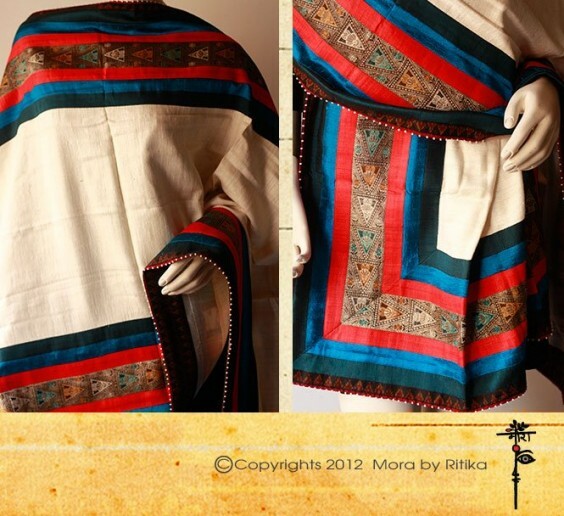 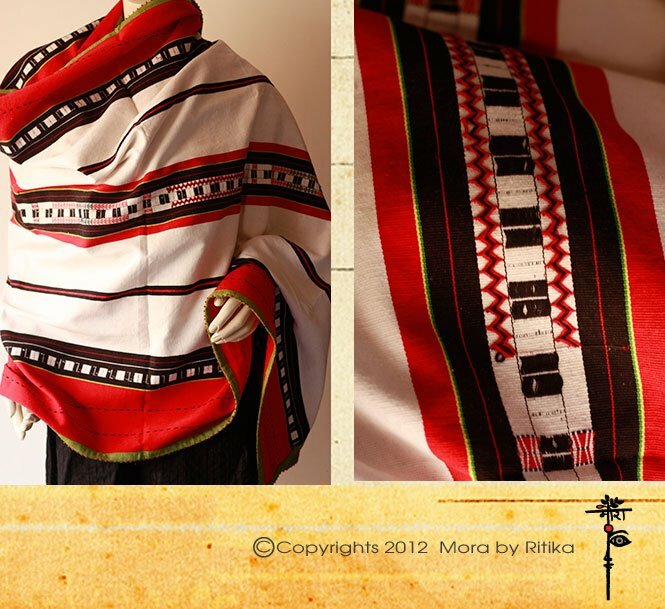 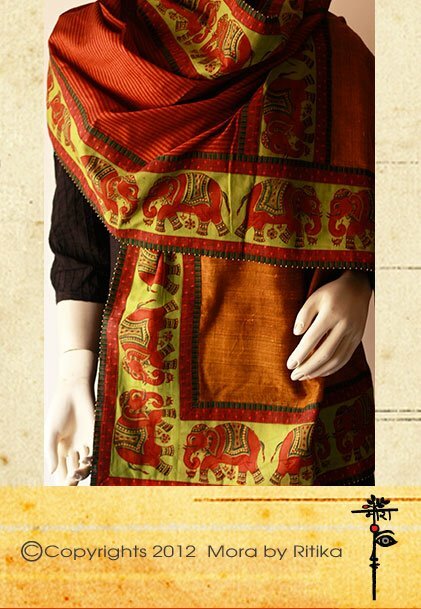 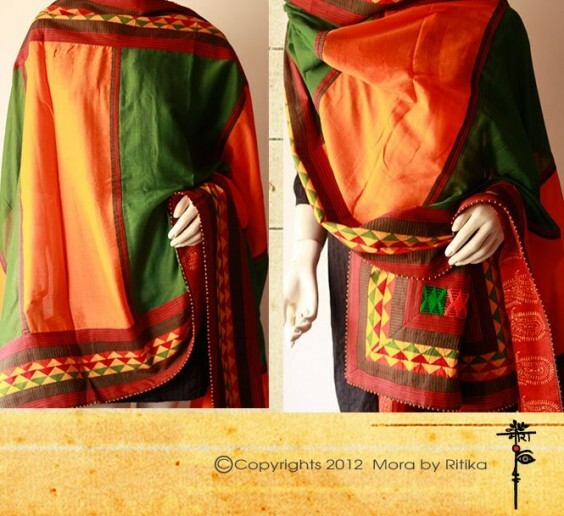 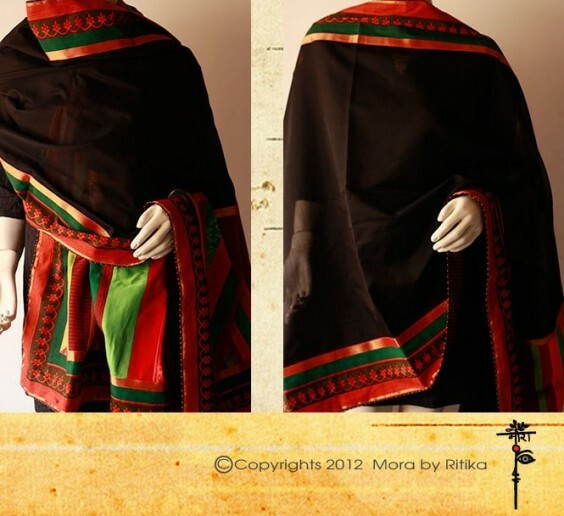 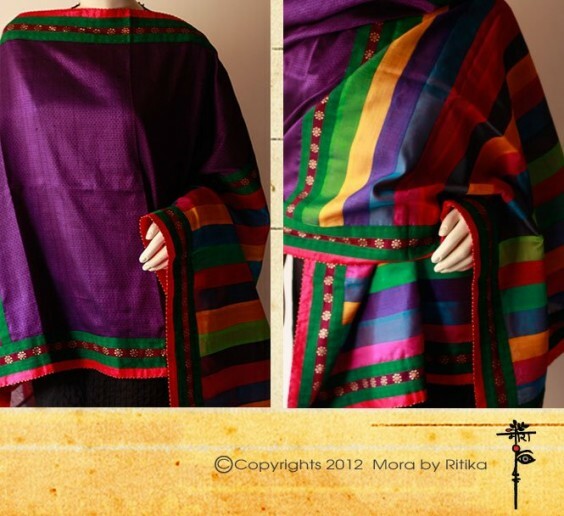 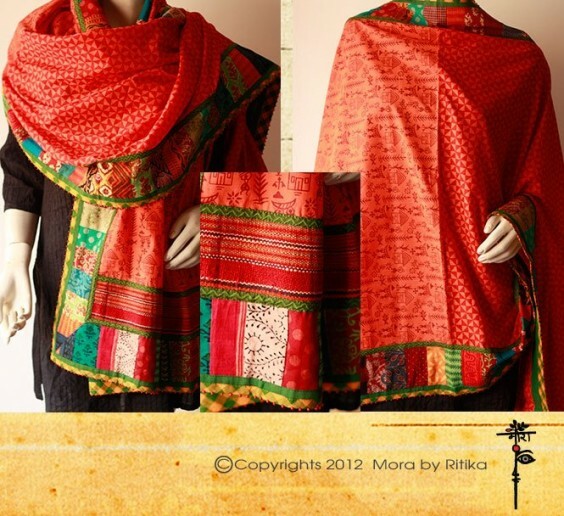 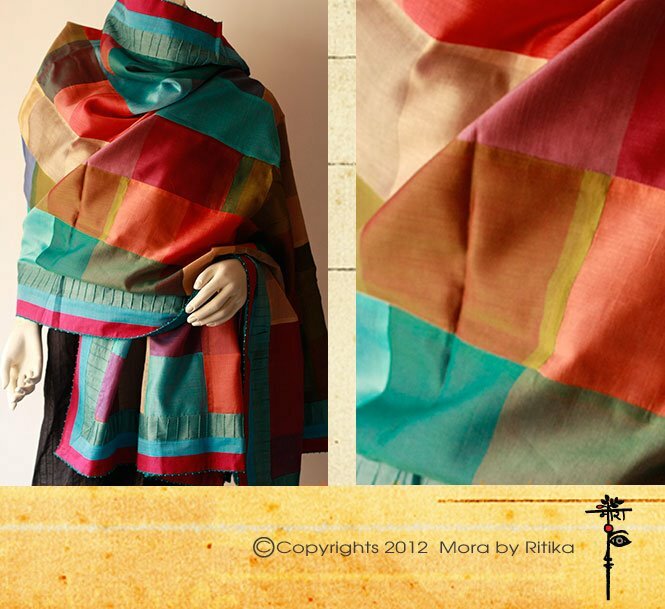 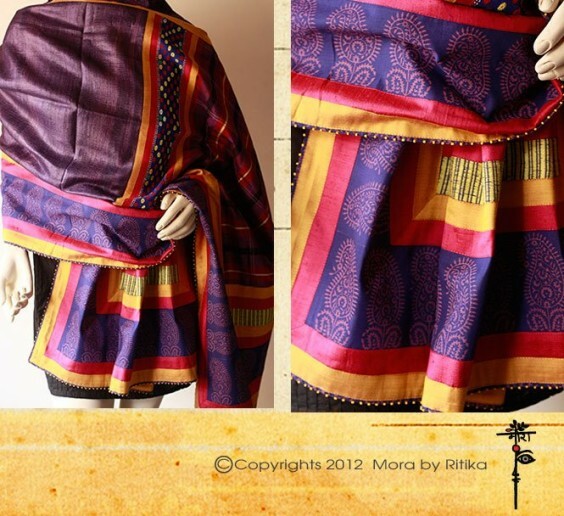 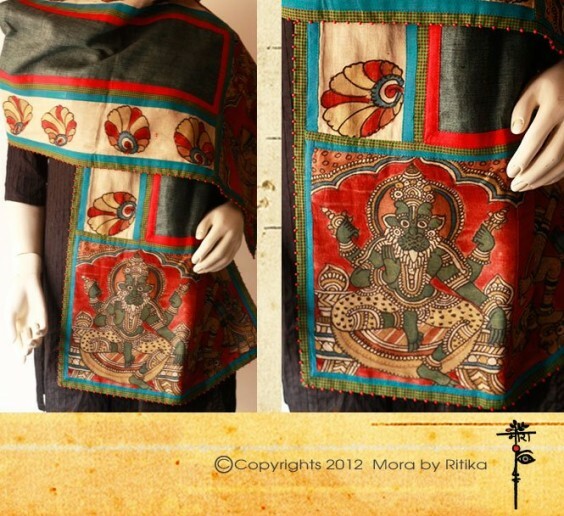 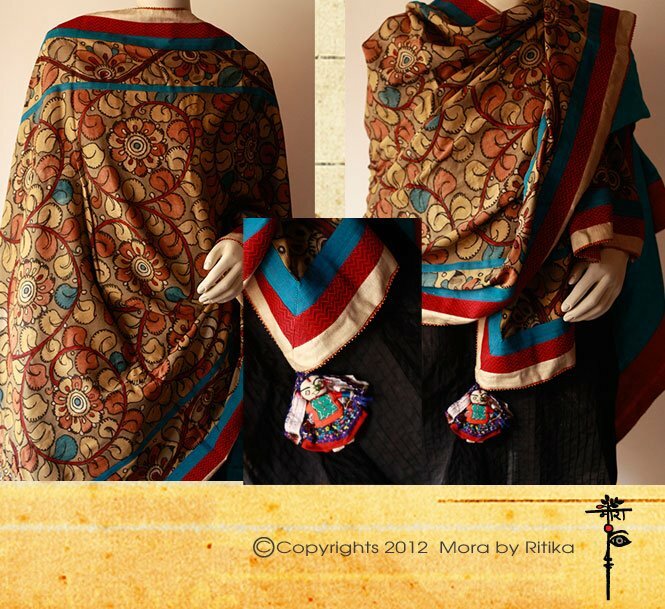 MORA creates one of its kind hand crafted sarees, dupattas, stoles and skirts. 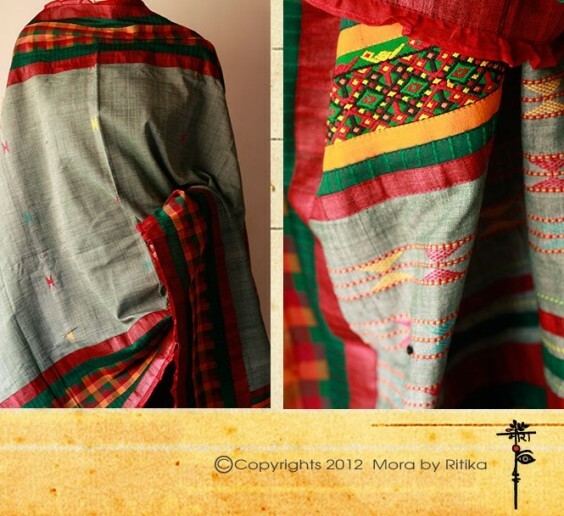 RITIKA MITTAL, helps weavers in the North East. 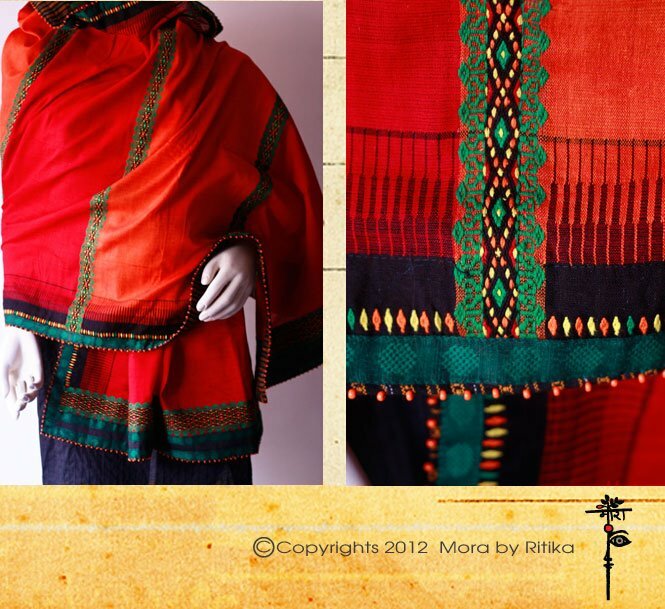 Ritika was happy being a writer, intil she fell in love with the traditional waves from the North-East, a traditional art that is slowly dying. 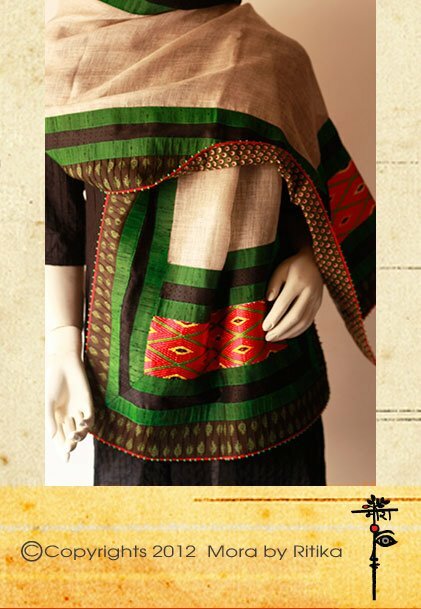 Travelling most part of the year, sometimes months at a time, Ritika has almost adopted places like Arunachal, Maipur, Meghalaya, Assam and Mizoram, from where she is encouraging women to work with cotton again after synthetics wiped out the entire sourcing and usage. 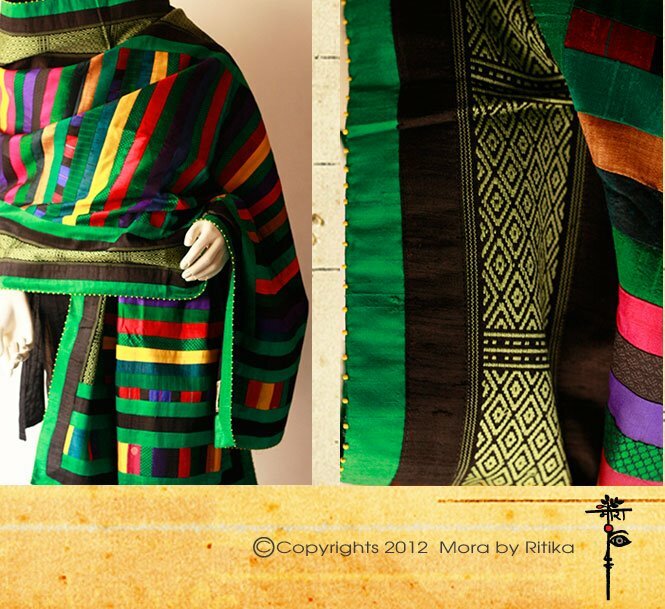 “The colours and motifs are unique and beautiful, and have been passed down from generations through various North-Eastern tribes” she says. For more details and purchasing please visit websie and FB page. 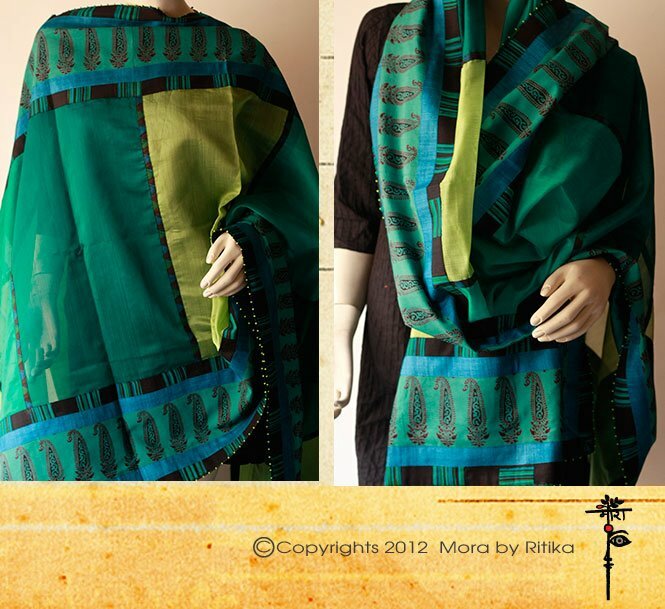 I love all your Sarees and Dupattas. 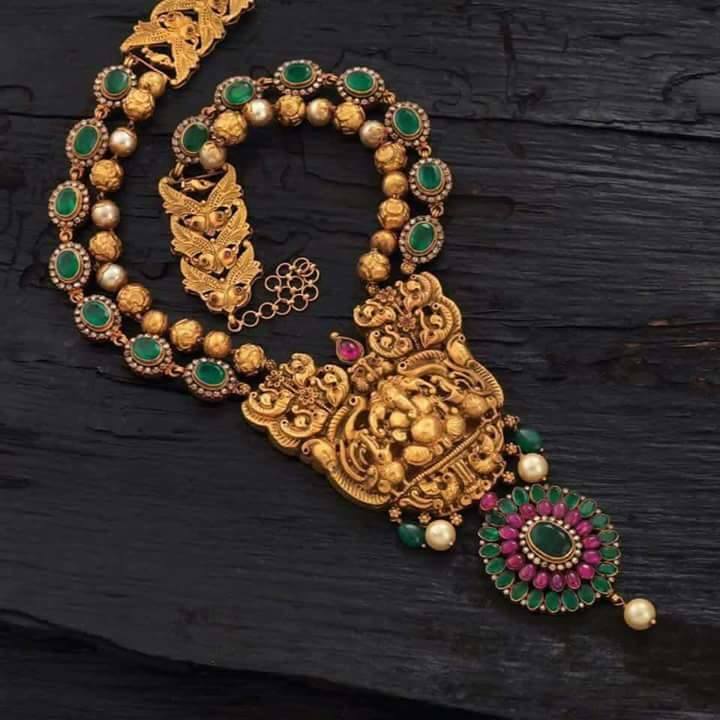 Beautiful collection.